Pop superstar George Michael is headed to Australia later this year for local live dates as part of his global ‘Symphonica’ tour. Last week he announced a second date in Melbourne, as well as revealing ticketing details for his Perth show. Now comes news that the singer has something else up his sleeve… new music. 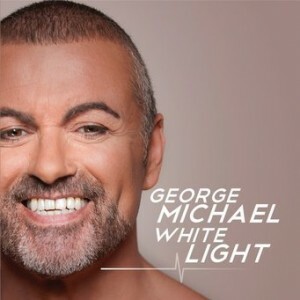 To co-incide with the 30th Anniversary of the release of the first ever Wham single ‘Wham Rap’ next Friday, he’ll be releasing a brand new single entitled ‘White Light’ to radio stations. Sadly, he’s making his eager fans wait for more than six weeks to legally buy it, with a British digital date of Monday August 12. Not quite so bad here in Australia, with the track due for release on Monday July 02. But George has published a heartfelt message for his most loyal fans. “Although I know the music industry tradition on such occasions is to list the hundreds of millions of albums sold, the number of records broken and awards received over all those years, I would simply like to say thank you. “Most of my fans realise that I dreamed of a career as a singer/songwriter from an early age, but never in my wildest imaginings could I have known that I would still be here thirty years later, healthy, happy, and feeling that I still have so much more music to give. It is miraculous in so many ways. Fate has been so kind to me, as have the millions of people that that have bought records and come to see me play year after year since 1982. George has also revealed that he’s hard at work on a brand new album, his first in eight years, to be released later this year. George’s Australian tour kicks off at the soon to be completed Perth Arena on November 10.